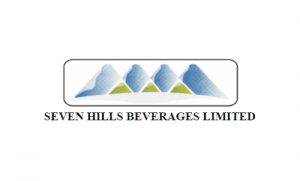 Seven Hills Beverages is engaged in the business of manufacturing packaged drinking water for Bisleri International Pvt. Ltd. We operate as “Co-packers” for “Bisleri” wherein we manufacture the bottles at our plant in order to avoid any possible contaminations and carry out the filling of purified water as well as final sealing and packaging. The water purification process is carried out in multiple stages to ensure that the water is free from all forms of bacteria and is in accordance with the process and standards of Bisleri International Pvt. Ltd and also BSI Manual namely IS 14543 : 2004 for Packaged Drinking Water. Our manufacturing plant spread across almost 2 acres of owned land is located at Dondori, Nashik in the state of Maharashtra. We have been augmenting the manufacturing capacities of this plant from time to time and the plant has a current installed capacity of 32,85,000 boxes (with each box consisting of 12 bottles each). This makes us a strong partner for “Bisleri” in meeting the requirements of packaged drinking water supply in Nashik and areas nearby such as Shirdi, Aurangabad etc. Seven Hills Beverages IPO allotment status will be available on Bigshare Services' website. Click on this link to get allotment status. Issue cancelled due to internal technical reasons. Is this a good company to invest in when it comes up for IPO? I am thinking they just make ‘bottled water’, so are they worth it? Thoughts/opinions? I forgot to mention that you don’t need to have bank account with AXis or SBI for applying in IPOs. YOU just need to find some family member or friend who has account in these banks. They can add your demat account details in IPO section and can apply in your name. If alloted, money will be deducted from the bank account and you will get shares in demat account. thanks for your inputs. Both of them are really useful. Yes, Zerodha allows trading in SME IPO stocks. IPO cannot be applied from the Demat accounts. We would usually do it online using our bank accounts. Visit your online bank account and open the invest online section. It should have a provision for ASBA . Use this ASBA facility to apply in IPO online. Provide your DP ID and Account ID so that any allocation to you gets into Demat account. Hope it helps! @Abhijit, I am aware of online IPO application process for normal IPOs that get listed either on NSE or BSE or both. I did apply for several recent IPOs through ASBA and got allotment for some of them. If you read my Question properly, it is about SME IPO as I don’t see any of the SME IPO appearing in HDFC IPO section whereas normal IPOs do appear for customers to apply online. The reason i mentioned about Demat accounts is to give additional info as ICICI Direct doesn’t allow its customers to apply unless Demat account is there with ICICI. In any case, thanks for your inputs though it is of no help to resolve my query. Hey Nirmal, you need to apply for SME IPOs through ASBA. You need to visit your nearest bank branch and submit an application there. thanks for your inputs Suresh. I will visit Bank branch to see whether they accept SME IPO application through ASBA. I’m not sure about ICICI but you will not get SME IPOs in HDFC netbanking. Axis Bank and SBI allow IPO applications in SMEs but you will also need to have demat account with a broker that allows trade in SME stocks. It shouldn’t be difficult though and you can check if past SME IPO stocks are available for trade in Zerodha.